Stacey is mom to three little boys, the eldest of whom has De Morsier syndrome, and she is an outspoken advocate for Autism (her blog is here). Her status really hit home for me and it got me thinking about being a parent to a special needs child, and how I parent my knucklehead. Many times in our lives, as he and I lived with ADHD and I became more and more determined to create awareness and educate people about the disorder, it became all about me. How I had to parent a special needs child. How I had to deal with people’s rudeness and incompetence and crass questions. How I had to take time off work to get to doctors’ appointments and occupational therapy and shrinks and speech therapy and parent teacher meetings and school conferences. My son needed far more help to get through every day than I did, but sometimes I was crusading so hard and feeling so sorry for myself that he got left behind. First of all, let me state very clearly – so there’s no doubt – if your child is diagnosed with ADHD, you are parenting a child with special needs. ADHD is often called an invisible disorder, and I must be honest – sometimes I am glad for this. If you are a parent to a child with a visible disability or handicap, you are subjected to pitying looks and outright rudeness! Its as if being able to see that someone’s child is different entitles people to ask questions at point blank range. Do people REALLY think that the parents of a child with a disability or handicap of any kind have not ALREADY done – and are doing – as much reading and research as they possibly can? I get that they just want to help, I just wish they’d think before they speak! Look at it this way. If you tell someone your child is asthmatic or diabetic- also fairly invisible disorders- people seldom launch into a diatribe about how its a fake disorder created so drug companies can profit. They’re still quick to make suggestions about treatments and tell you of their own experiences, but mostly the show concern and empathy. Do you know that children with an ADHD diagnosis have a worse quality of life than children with asthma or diabetes? They don’t do well at school, they don’t do well with interpersonal relationships, they’re always in trouble, and they blame themselves. Is it any wonder that sometimes its all ME! ME! ME! Listen to me! Help me! Show me! Answer me! Anything! For me, raising a special needs child feels like I am always on the defensive. Even now, with a grown up son. Every single time someone mentions ADHD, I brace myself for the slew of jokes and opinions that inevitably follow, tossed about by people who only ever read YOU and Huisgenoot, or watch Carte Blanche. Even if they’re not actually talking to me, I have to all but bite my tongue and I am not always successful. I am constantly second guessing myself and wishing I’d done more, tried harder. I probably could have. Should have. If I’d worked harder perhaps my son would have finished school. Perhaps he would have gone on to some kind of tertiary education, perhaps he may even have become the Marine Biologist he always wanted to be. Hindsight is always 20/20. And I didn’t know then what I know now. Is it any wonder that my son occasionally faded into the background of my battle with ADHD? Anyone who knows me knows that I am passionate about educating people and creating awareness around living with ADHD. I also love having the opportunity to share my many blessings, and this Twinsaver and Tugo competition provides me with an opportunity to do both. 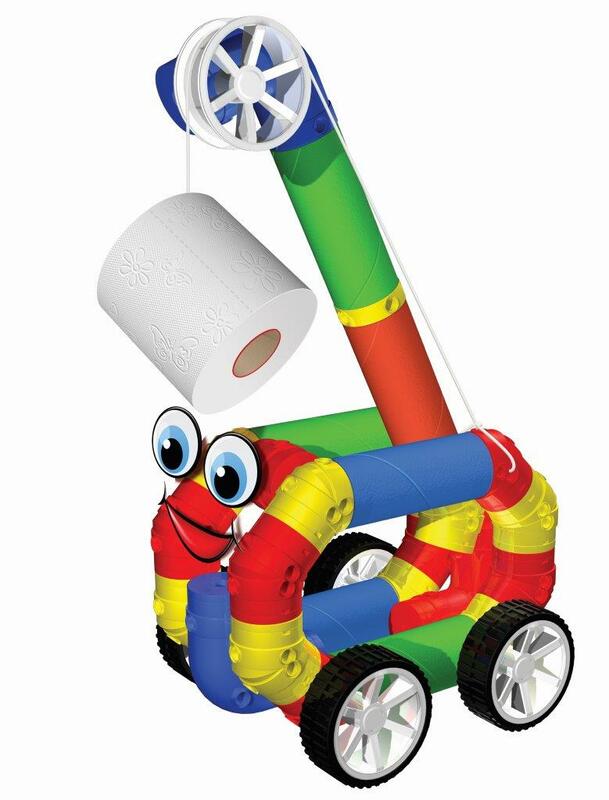 I get to promote a toy that I think is fun as well as functional and encourages recycling, and I get to help Cotlands by promoting this initiative. 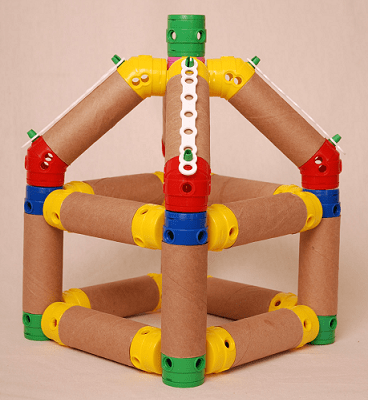 This Tugo Free-Play toy is something my son would have LOVED when he was little! 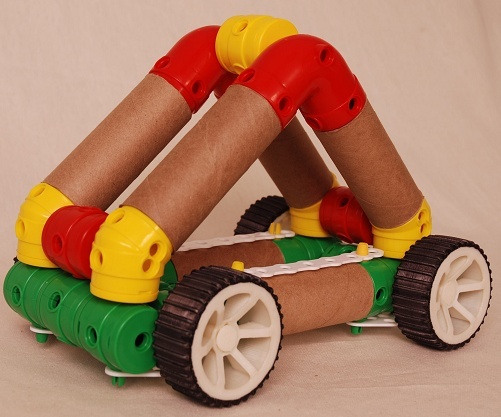 I actually kept a big brown paper bag full of egg boxes, scraps of wrapping paper and fabric off-cuts, toilet roll inners, pipe cleaners, ice cream sticks, and glue, and on “rainy days” I’d pull this bag out and my son would spend hours building and inventing. I think its a fabulous concept, and if you have a child with ADHD who has a creative side, this is a great toy to pull out of the cupboard when your child tells you he – or she – is bored! Here’s the press release about the campaign behind the competition. 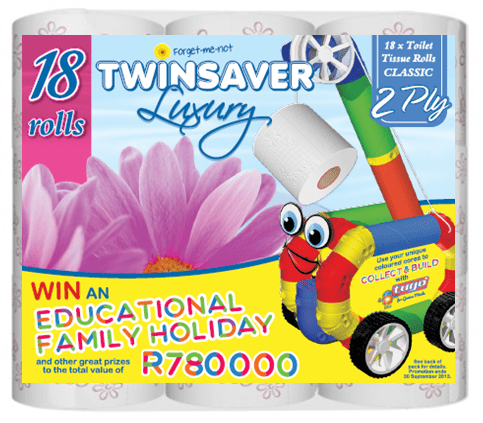 In April 2013, our passionately South African brand, Twinsaver Luxury will be partnering with TuGo, a proudly South African construction toy to launch their incredible educational campaign. In 2007 CEO of TuGo Abel Chetty’s son was diagnosed with Attention Deficit Disorder (ADD). ADD inhibits a child from concentrating for long periods of time, which proves to be challenging in classroom environments. Coupled with his wife, Chetty came to the decision to put in place a strategy to help him overcome some of the challenges associated with the condition. The result was the creation of an educational toy set which in turn has also motivated Twinsaver Luxury to join forces and assist Chetty in changing the lives of all our children. From April to September 2013, Twinsaver Luxury will be collaborating with TuGo for an in-store promotion supported by a fantastic charity initiative for Cotlands. Each pack of Twinsaver Luxury bought allows consumers to sms a unique code to a number provided on the pack as an entry into a competition. Parents must look out for the coloured cores! For every sms entry received Nampak will donate TuGo blocks to Cotlands for their Toy Library, an area where the Cotlands children can be inspired and educated through. There are also educational prizes up for grabs like a R50 000.00 bursary monthly, various TuGo products as well as an Educational Family trip to the UK. Hugh Wilson, Commercial Manager of Twinsaver Luxury says “ we really believe this campaign can make a difference in the lives of the less fortunate, education is the cornerstone of making this country great, and being a proudly south African brand we feel it’s time to give back and help make the difference”. To make a difference alongside Twinsaver Luxury and TuGo, and assist with a monetary donation, sms COTLANDS to 38810. Sms charged at R10, proceeds will go to Cotlands.